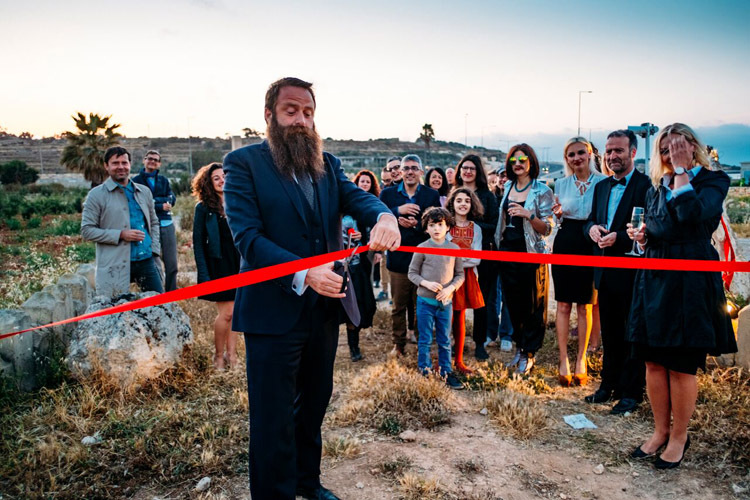 Subversive Semiotics – a happening for a billboard took place on May 10th in form of an official opening ceremony for a public billboard. 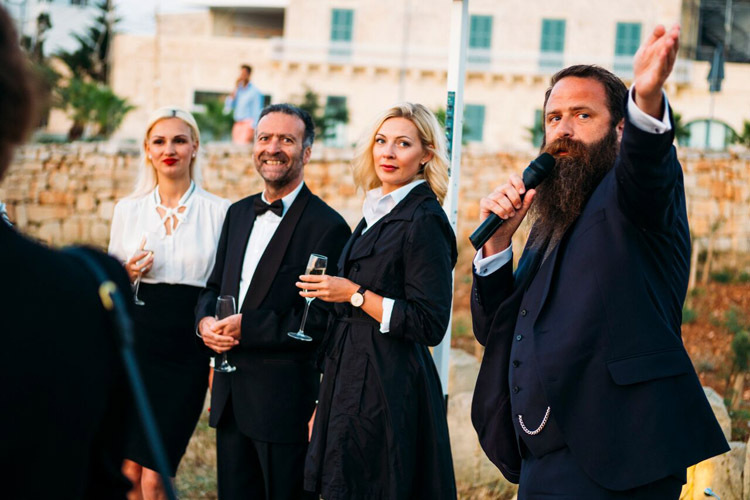 The artistic happening was disguised in good Dada-style as official event, where visitors had been invited to obey the dress code (“Cocktail”); to converse politely over background music and to champagne; and to listen speeches by the Minister of billboards, sustainable debauchery and mental health, by the chairman of a local foundation and the founder of FRAGMENTA. Small nibbles were served during the event. And of course there was a red ribbon to be cut. 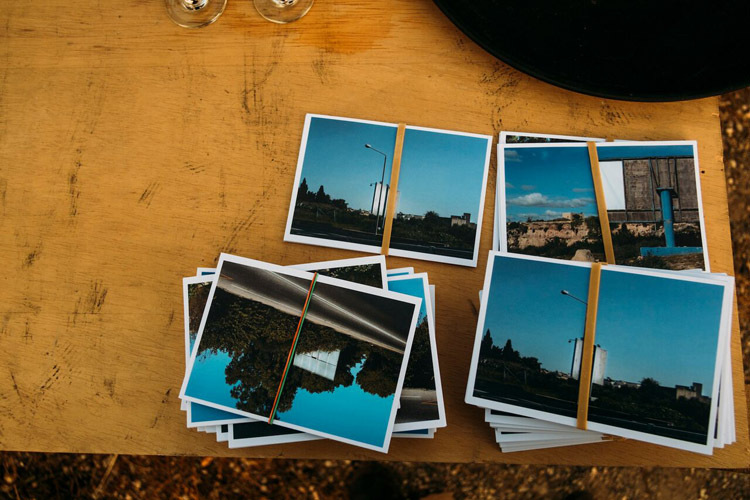 Held in collaboration with artist-photographer David Pisani, Subversive Semiotics presented the audience with a Dada mise-en-scène, where pseudo names and irony were used to promote reflection about issues of our time. David Pisani talks to us about it all. EC: How did it start off? You said that Bettina Hutschek contacted you. DP: Bettina invited me to do a FRAGMENTA together. She then asked me for a proposal, which is how curators work. Eventually I came up with the idea of using a billboard as an art installation. EC: And what kindled your interest in using billboards? DP: I’ve been looking at them for many years. I always thought that they were weird, alien-looking structures popping out in between trees, on the edge of the road. They are very incongruous. I obviously don’t like them, but I always wanted to do something that makes people look at bill boards for what they are, observe their physicality. So this project gave me the opportunity to do so. I proposed this idea to Bettina and she loved it. The idea to perform next to the billboard came later, it was Bettina’s idea. We then also discussed the possibility of having humorous speeches. I wanted to take the piss out of the billboards, particularly those which are in Marsa at the moment. DP: If you drive through the Marsa Junction Project, you will notice that they’ve uprooted all the old trees but they didn’t touch the bill boards which are also occupying public land. It seems that we do anything for money. And to me, that’s not a very healthy society. DP: I am someone who works with metaphors. In the case of the billboard yes, I think it is a bit of a sly comment on the way things are going. A billboard is a machine that sells and I think this country has become a machine that sells, we’ve sold our identities and whatever. 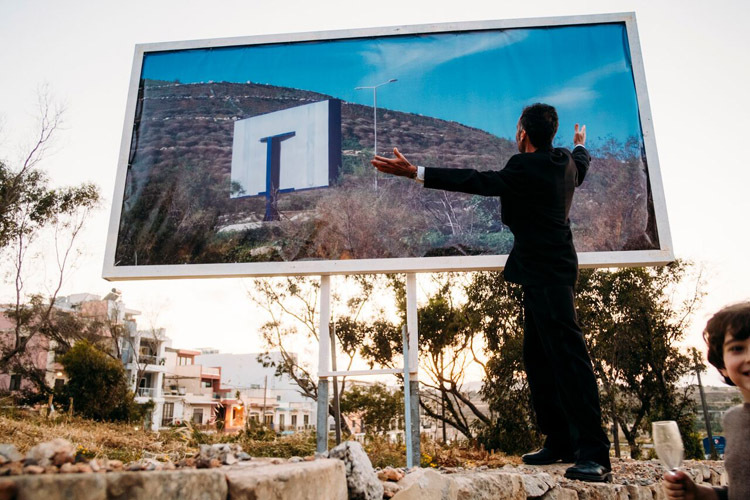 So without being directly political, I think that the billboard images are a metaphor for what’s happening to Malta. However, let’s not just leave it on a Maltese level, as this is happening all over the world. China is a perfect example. I think everyone has completely gone haywire money wise. EC: Even Margerita’s speech was subversive. DP: I had nothing to do with it, and the same goes with Antonio’s speech. 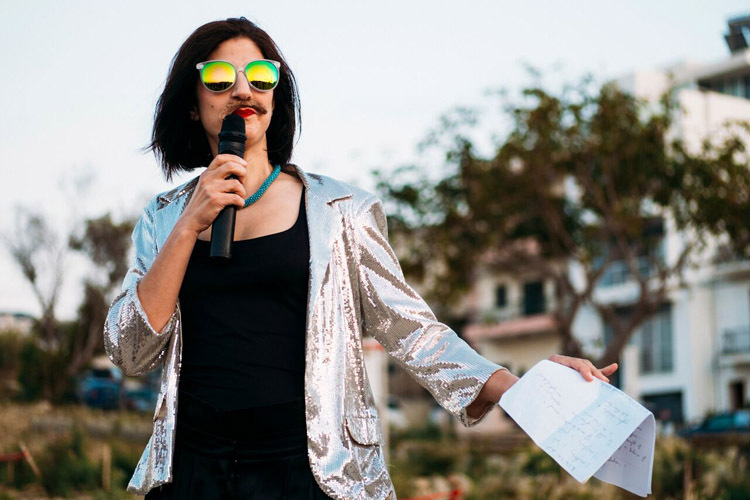 The speeches were planned and organised by Bettina, so they were allowed to say what they wanted. We all kind of touched up on local issues without being specifically political. I mean, all art to be true art has to be political (not in the sense of local or petty politics). Art is not about making pretty pictures. You have to ask political questions as an artist. 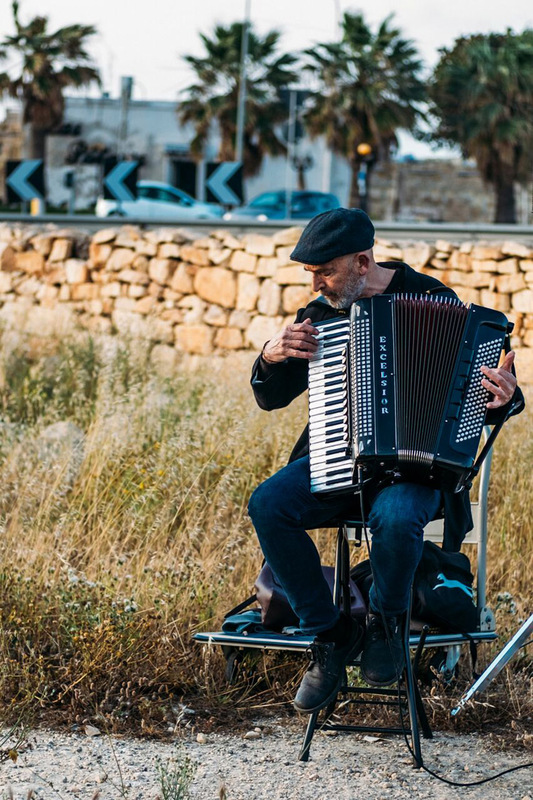 EC: Why did you choose Baħar iċ-Ċaghaq coast road (roundabout area) as a site? DP: It is a very simple answer. 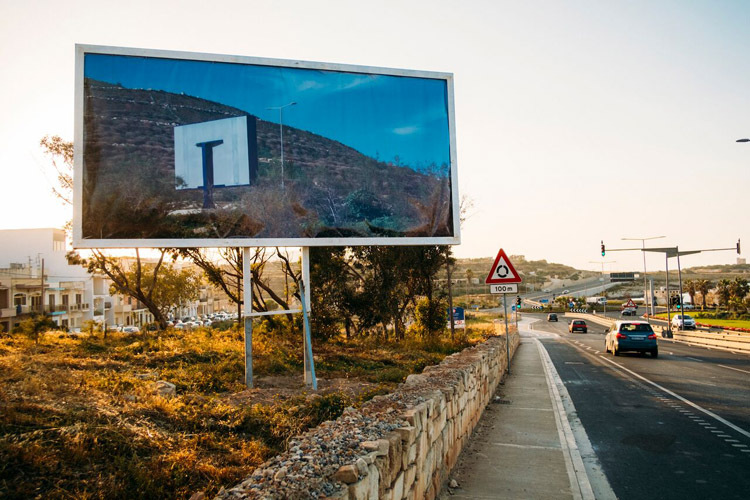 Initially we wanted to use the billboard on the Magħtab coast road but it was already booked. So our next best option was Baħar iċ-Ċaghaq. The Magħtab billboard would have given us the option to hold the performance right underneath it, but Baħar iċ-Ċaghaq worked out very well. I really liked the fact that we had to walk up a hill to get to the billboard – it felt like a short pilgrimage to the bill board. EC: I have to confess that, as I was making my way to the event, it did feel strange seeing formerly- dressed people in a middle of a field. DP: We wanted to create a kind of surreal effect, which is why we asked people to dress up, brought in a musician and asked waitresses to wear bow ties. It was all mise-en-scène. We wanted to hold this great event as though we were all in awe of this billboard. 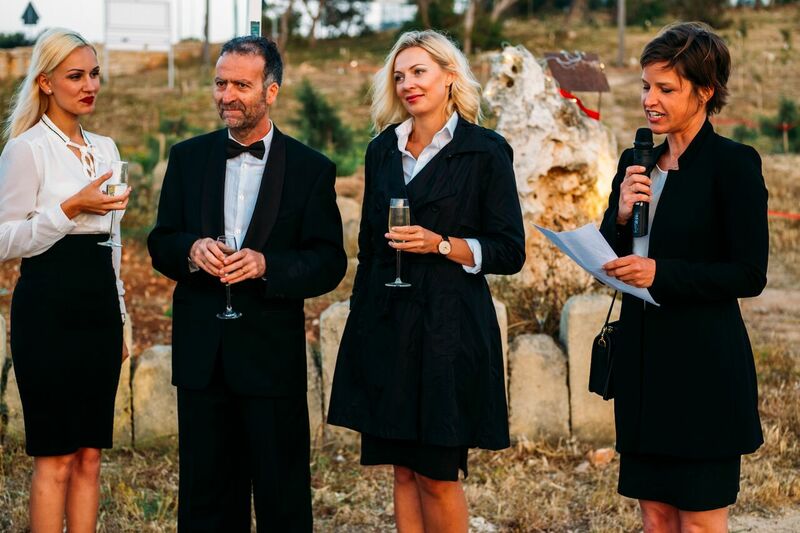 In addition to the billboard installation and performance, we also wanted to have an opening ceremony, where I, the artist, stand like an idiot between two blondes, say nothing and do nothing. 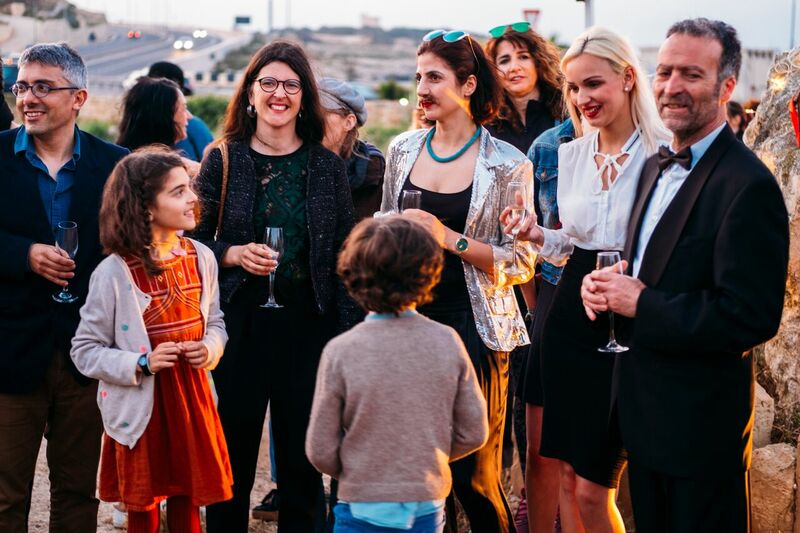 Very often, that’s what happens during exhibition openings; someone is invited to this grand speech and ends up missing the boat by a hundred miles. DP: [Laughter] I mean, I’ve had my name pronounced badly. I’ve had things said about me which are completely not true, simply because people do not research your work properly. EC: We haven’t really spoken about the photo on the billboard. 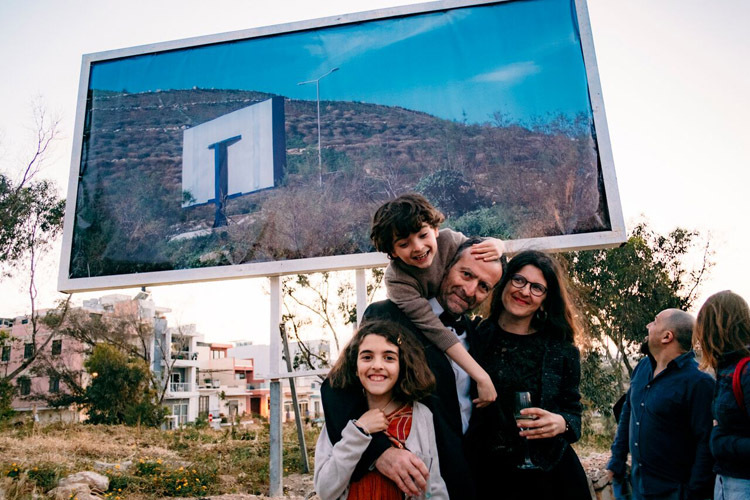 DP: The photo showed the billboard in Magħtab, where we originally wanted to hold the event. I took several other shots of billboards around the island which Bettina and I turned into a set of postcards and gave them out to the participants on the evening. EC: I spoke to Bettina before coming to your studio and we talked about the experience of this event. What was it like for you to work in a public space? DP: I always wanted to do large scale work in public areas. I like the concept. Some photographers have done it in Paris. It’s obviously very costly and quite complicated in terms of permits and things. I’ve always thought that a billboard would be a fantastic canvas. I love the fact of being out in the public space as opposed to being in a gallery or a museum. I think we need more art in public spaces and probably less art in museums where it’s kind of stagnant. It was also my first time working on a performance. Bettina pushed me to work more freely, in a performative way, as I am not really a contemporary artist, let’s say in general terms. So yes, it was my first showing in a public space and my first art performance. I might do more. I think this one worked out well because it all happened very naturally. Bettina and I kept on having these ideas. We kept on building on them and it all came together very nicely. There were certainly no problems of conflict. EC: What did you expect from and what surprised you during the event? DP: As an exhibiting artist I learnt not to have expectations. Sometimes people turn up, sometimes they don’t. So along the years I learnt to just concentrate on the work and getting it done. Whatever comes out of it can surprise you. I had people crying in my exhibitions. In the case of Fragmenta, I was very happy with the turn out and the response, but what surprised me more than anything were the speeches. As I said earlier, I didn’t control what they were going to say. I just let it happen and I was pleasantly surprised with the outcome. EC: Were there any particular responses or reactions? DP: We had some enquires about the billboard from the Bahar iċ-Ċaghaq and Naxxar local councils. I think Bettina was also contacted by Valletta 2018. They wanted to let us know that people weren’t understanding what the billboard was about. They couldn’t understand why one would put an image of a bill board on an actual bill board. So people did sort of interact with the installation, and that is a good thing. DP: I gave a lecture about a month ago, so Bettina is quoting from there. Basically what I insist is that, if you want to take a picture of something, you have to work at your subject, you have to stay with it, you have to keep going. Most people walk away before it happens, before the elements which are going to make your picture fall in place, fall in together. I don’t research, I just go and live and things come to me somehow. It has always been like that. 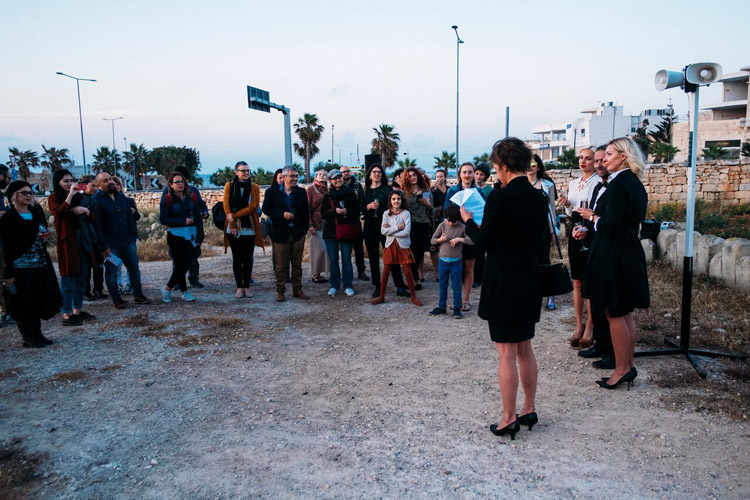 EC: It’s a bit like the Cyprus project (Broken Dreams – the architecture of war), when a journalist had approached you and suggested that you should visit the Ledra Street. DP: Exactly. I had no idea. 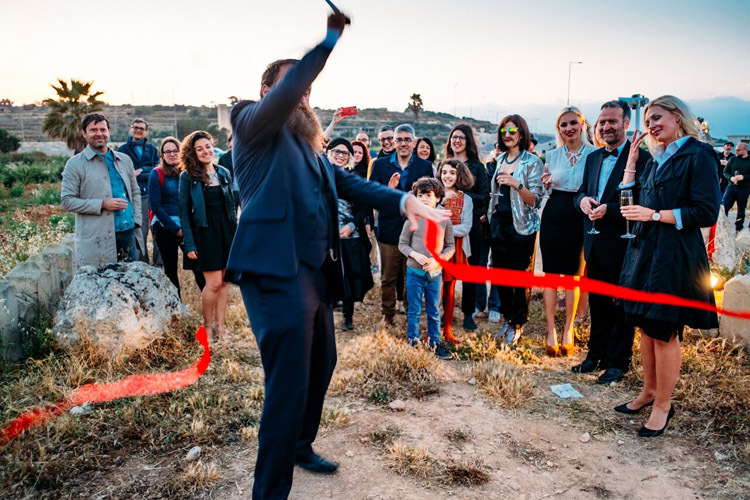 I just happened to be in Cyprus to open another exhibition. It’s always been like that. I just let life do all the work. The ‘Vanishing Valletta’ project is also a very good example. I took pictures of Straight Street, of the bars which were by then closing down. The reason why I took those pictures is because I used to go there; I used to go to the bars and get drunk. I went to the bars, I went to the narrow ugly streets because I like them. I’ve also photographed the prostitutes. So ‘Vanishing Valletta’ happened not because I planned to do it. Today I work in a slightly different way. Today I construct images, but still, I don’t research, I just stumble across things. EC: Earlier you said that you’re not into contemporary art. EC: One has to read about art in general (not just contemporary) in order to understand it and contextualize it. DP: …which I am very lazy at! As a person and as an artist, I’m too busy with my own work to even give time to contemporary art. So I know that it is a failing on my part, but the truth is, that I’m very focused on my work and it leaves me with very little time to follow what is happening. For me art has always been a kind of a survival. The most important thing is to create my next piece and to continue living as an artist. Everything else takes a side track. EC: It became a focal point in your life. DP: I put my life into it and that is another thing that people don’t understand. Photography is really about life. It is not about taking pictures. You have to trust life as it will reward you if you open up to it.